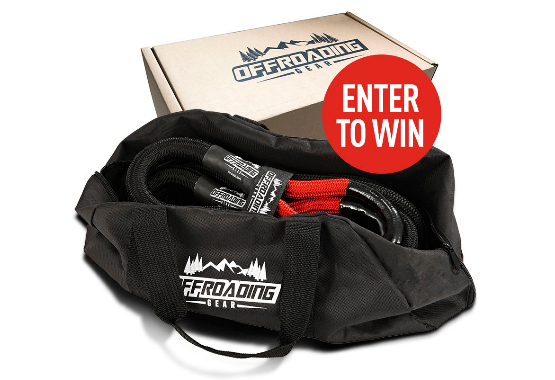 Enter our contest to win a free Kinetic Recovery Rope! One winner will be drawn every Monday. 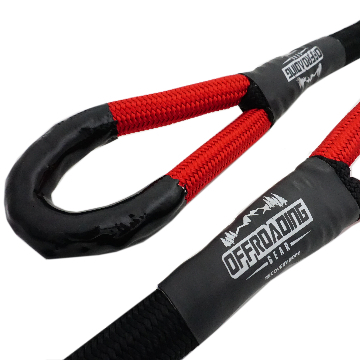 INCREDIBLE BREAKING STRENGTH - Made from heavy-duty double braid nylon, this high-stretch recovery rope is built to withstand the toughest situations. 20'x3/4" Breaking Strength: 28,600 lbs. RECOVER OR TOW MOST TYPES OF VEHICLES- Ideal for use for recovering vehicles of all sizes and types including jeeps, trucks, SUVs, cars, ATVs and more. Can be used in a variety of situations including mud, sand, and snow. 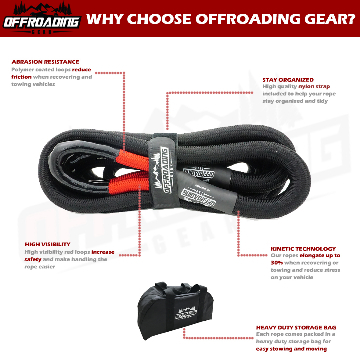 This Offroading Gear recovery rope is priceless trail insurance. ABRASION-RESISTANT COATED EYELETS & STRESS REDUCING NYLON- Increase the life of your rope by reducing friction when recovering vehicles with the heavy-duty coated eyelets. 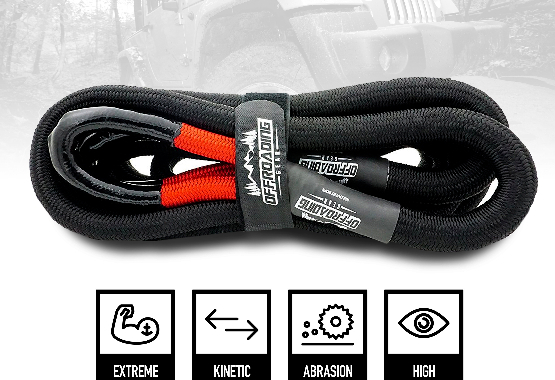 All of our ropes are built from high stretch nylon and elongate up to 30% under load reducing jerking and stress on either vehicle. 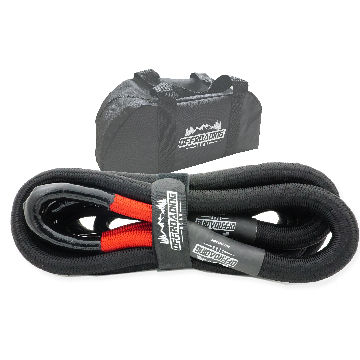 FREE HEAVY DUTY & EXTRA LARGE STORAGE BAG ($25 value) - Easily store your rope in this extra large bag with lots of room for other accessories as well.